Parking on Capitol Hill can be confusing at times so we thought we'd clear things up. 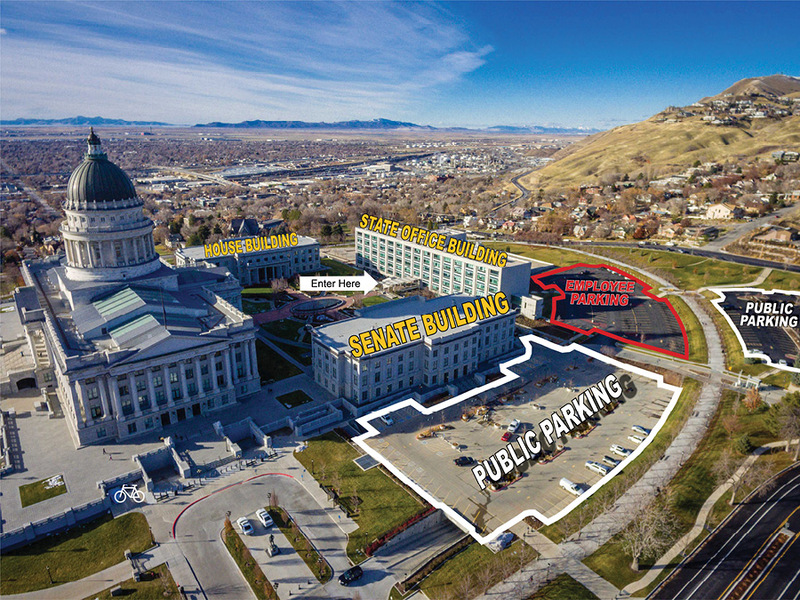 There are two public parking lots located east of the Senate building. 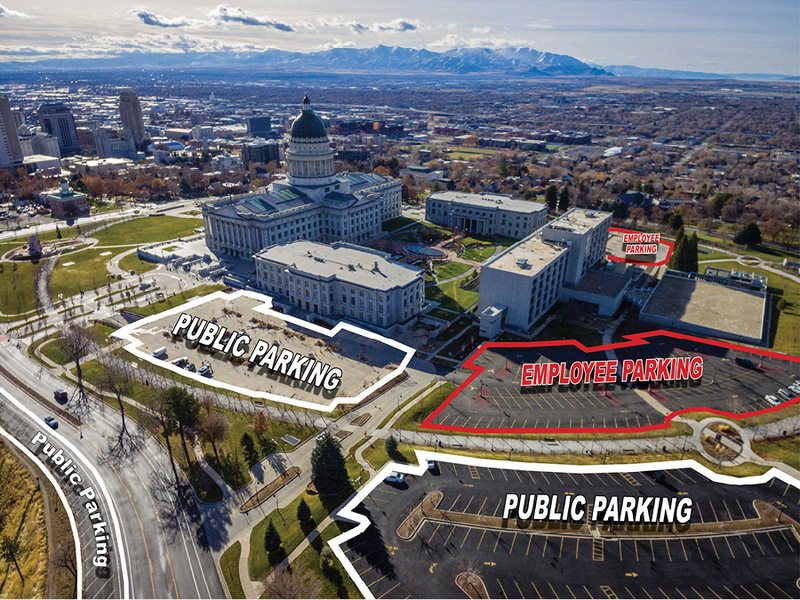 Anything that is labeled "Public Parking" in these pictures is free for the taking! 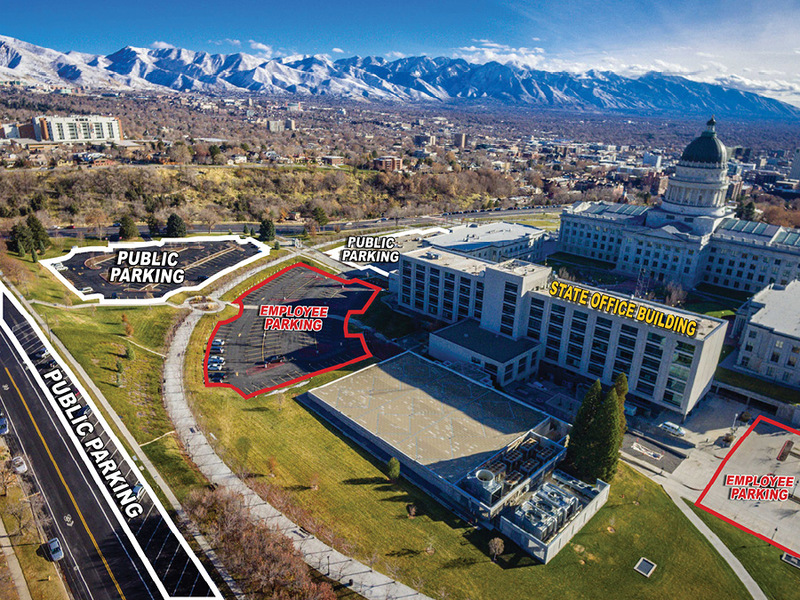 Once you're parked, our offices are located on the fourth floor of the State Office Building (that's the big, six-story office building located directly north of the Capitol Building) The entrances on the north and east sides of the building are only accessible to employees, so you'll need to enter from the south. Once there, only the upper entrance allows public access. In short, if you're in front of that big fountain and you're facing north, you're in the right place!